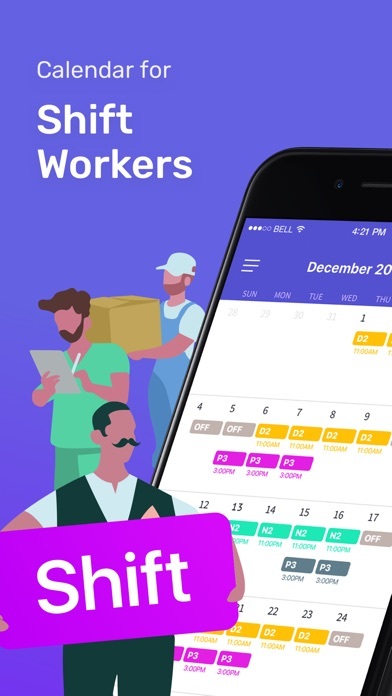 Shift Days - Work Tracker App Data & Review - Productivity - Apps Rankings! 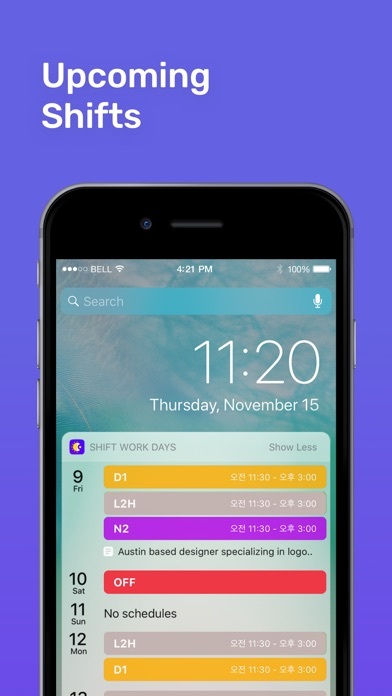 With Shift Days, you can see at a glance when you’re working. 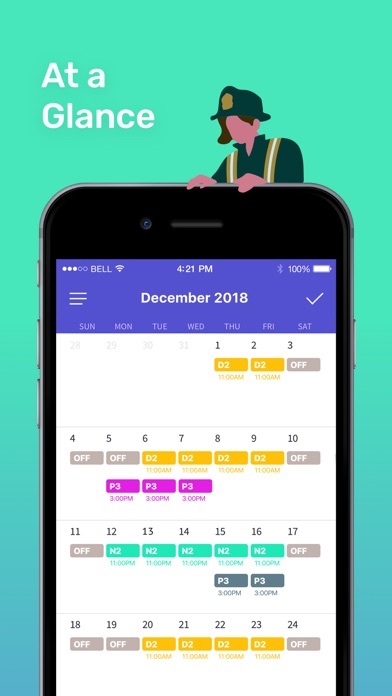 Suitable for your iPhone and/or iPad, the clear, easily readable calendar allows you to track your working days and hours with minimal effort – you can add or remove a shift with a single tap. 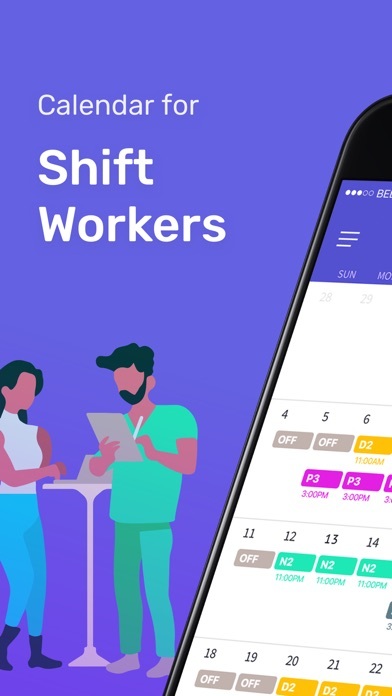 Designed with shift workers in mind, Shift Days enables you to see a full month of shifts on the screen, making it easier than ever to manage your working life. - See up to two shifts per day. 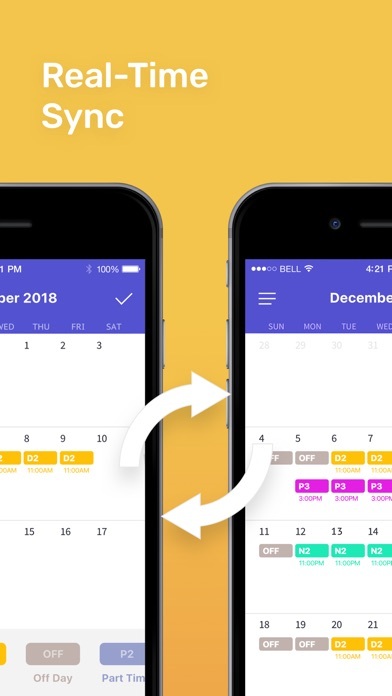 - Add unlimited shifts to your calendar. 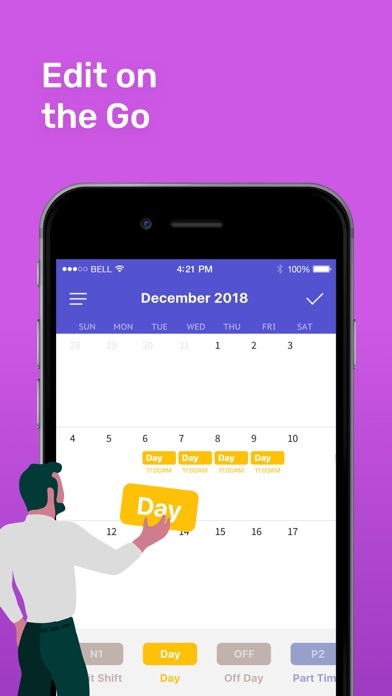 - Change your shift schedule just by tapping on the calendar. - Copy and paste shifts for rapid diary updates. 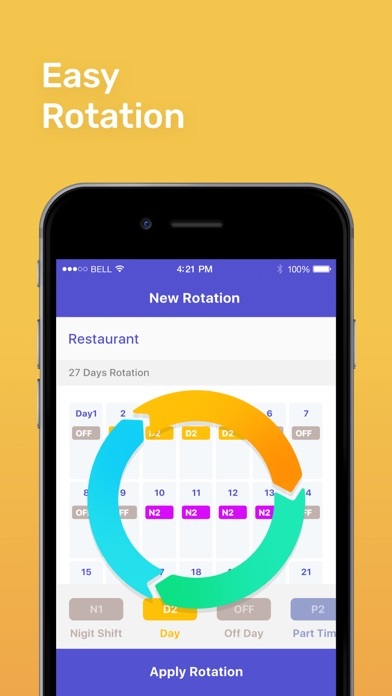 - Add your rotation and automatically fill the calendar in a few simple steps. - Get push notifications for shift events. - Week number with four different patterns (1-2, 2-1, 1-52, 0-51). - Set the start day of your week to any day. - Email your shift events. The intuitive shift managing interface makes Shift Days suitable for anyone who wants to take the pain out of their diary management. 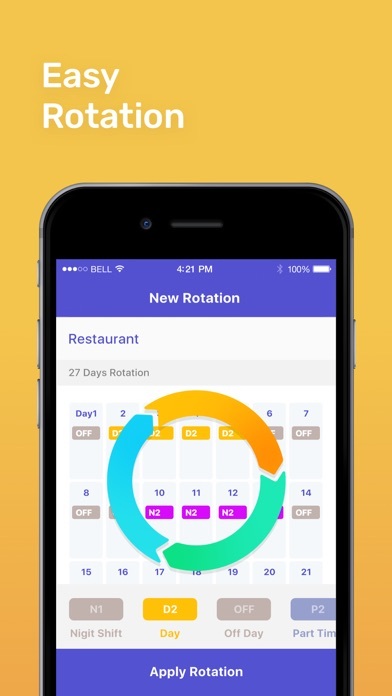 The app is perfect for those working random hours and days, as well as individuals working fixed shifts on rotation. The applications Shift Days - Work Tracker was published in the category Productivity on 2015-07-16 and was developed by PIXO Incorporation. The file size is 21.28 MB. The current version is 1.81.5 and works well on 10.0 and high ios versions. 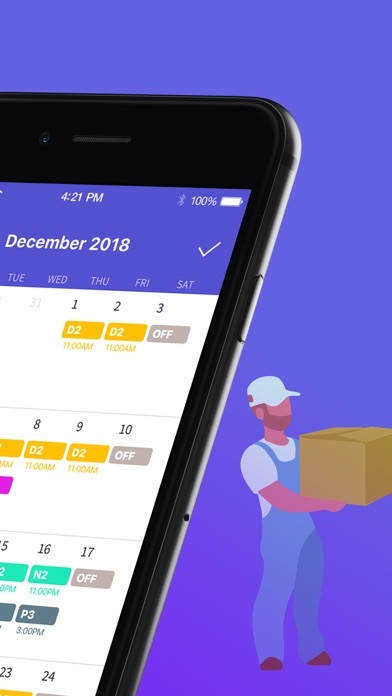 Do you like Shift Days - Work Tracker applications? Please share! I have the free version. After using it, no way in hell I would waste money on the full. Life saver!! As a single mom and this new schedule that is way weird but I still love.. I needed something to let me see in advance what days I had available for appts. Thank you! Only thing I really hated about switching from Android to IPhone is that I was losing my awesome shift calendar app. This one is working great for me but I wish I could have automatic payday overlays. I look forward to the upcoming $ on my calendar. A scheduler so good, I was even able to schedule this stunning review, revealing to you just how impressive this app is! My only complaint is the lack of the ability to indicate whether an overnight shift will show up on a particular day based on the beginning of the shift or the end of the shift. It really helps especially for working at night 12 hours shift. Easy to use and very user friendly. 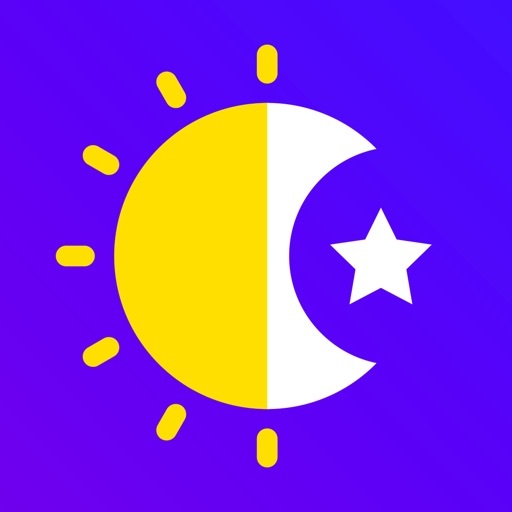 Best shift work app I have found so far!! My shifts are pretty erratic but repeat every few weeks, so once I had the pattern set up, it was easy to just repeat the saved pattern again and again. Also the colour coding is very useful for quickly glancing at the upcoming week. This App is a bit pricey but honestly it is very good. Colour coding shifts makes it very easy to check. It makes my life so much easier.